I seems like forever since I’ve finished a painting. 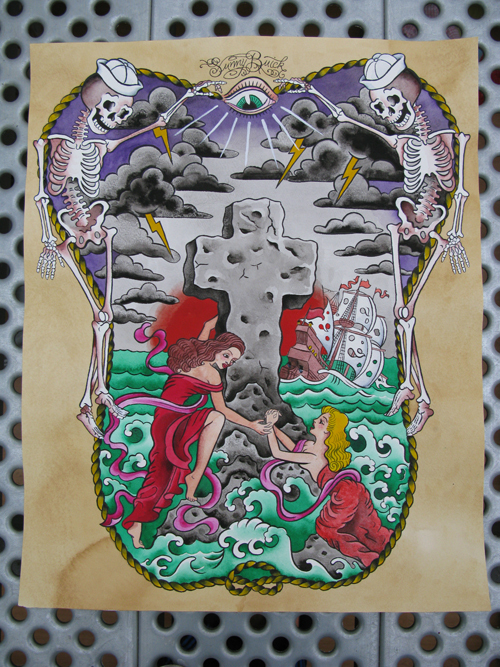 My friend Davide is planning on a book of rock of ages designs. I gave him the painting and he gave me a new tattoo (which I will show later).